This NYC-based telecommunications consulting and management company wanted to revise their current website to include the new products and services they now offered. 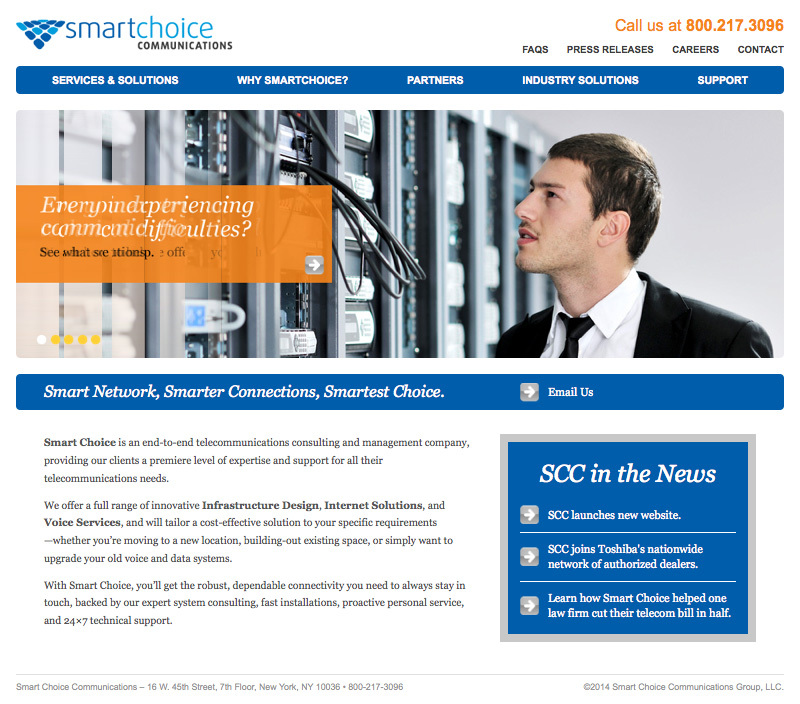 But a lot of the current website was too technical and didn’t fully convey the benefits that SCC provides their customers. We revised the website text using language that their non-technical audience could understand, and recommended adding bullet points and callouts for easier reading, client “Success Stories,” and a visually-appealing rotating scroll of key benefits to the website homepage. The client was so pleased with the work we did on their website, they asked us to write their press releases and marketing sell sheets, too.